Bhutan is located on the southern slopes of the eastern Himalayas, landlocked between the Tibet in the north and the Indian states of Sikkim, West Bengal, Assam, and Arunachal Pradesh to the west and south.This small country may perfectly be considered as a destination for Spiritual Tourism , as being full of scenic beauty and serenity within itself . The land consists mostly of steep and high mountains crisscrossed by a network of swift rivers, which form deep valleys before draining into the Indian plains. This great geographical diversity combined with equally diverse climate conditions contributes to Bhutan's outstanding range of biodiversity and ecosystems. Bhutan holds many surprises. It's the blending of the ancient and modern that makes Bhutan endlessly fascinating and can be outstanding place to be united with nature and explore Bhutan as an aesthetic place for Spiritual Tourism . The northern region of Bhutan consists of an arc of Eastern Himalayan alpine shrub and meadows reaching up to glaciated mountain peaks with an extremely cold climate at the highest elevations. Fast-flowing rivers have carved out deep gorges in the lower mountain areas that offer pristine glory of nature befitting Spiritual Tourism. The forests of the central Bhutan mountains consist of Eastern Himalayan subalpine conifer forests in higher elevations and Eastern Himalayan broadleaf forests in lower elevations. Woodlands of the central region provide most of Bhutan's forest production. 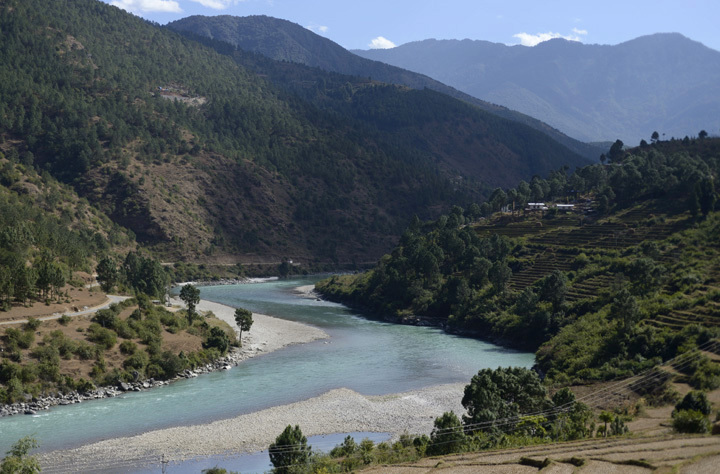 The Torsa, Raidak, Sankosh, and Manas are the main rivers of Bhutan, flowing through this region. Most of the population lives in the central highlands. Nestled deep within the Himalayas, Bhutan is a treasure trove of biological diversity with an unparalleled richness of flora and fauna owing to the varied altitudinal and climatic conditions present in the country. This fragile ecosystem has remained unspoiled owing to the conservation efforts of the Bhutanese people and government. About 60% of the kingdom’s total area has been designated as protected nature preserves. 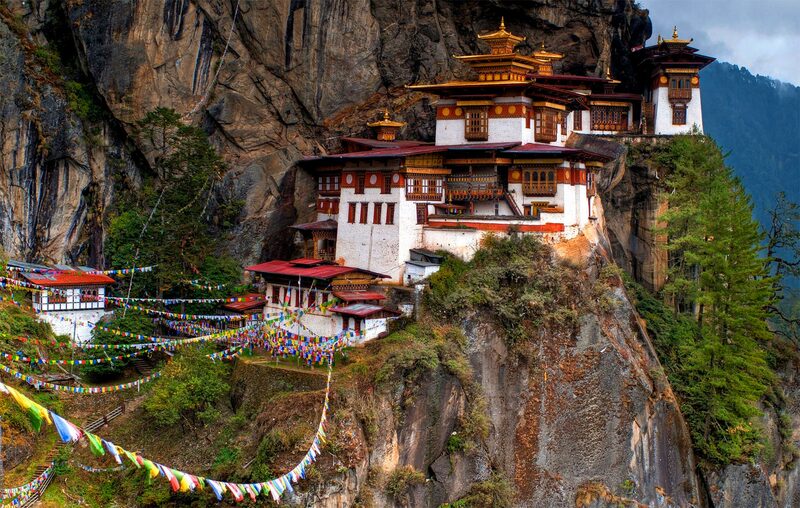 So Bhutan has been chosen as the best destination for Spiritual Tourism by Udiron Tours and Travels . Visitors can experience the magnificent flora and fauna of Bhutan by embarking on treks and hikes through beautiful virgin forests, pristine Himalayan Mountains and across sparkling crystal clear rivers fed by ancient mountain glaciers. Roads in Bhutan pass through the rich forests so travelers can experience the majestic natural environments of Bhutan. For the visitor, this translates into lovely forest hikes and superb birding across a chain of national parks that confer Spiritual Tourism . With spotting takins or blue poppies, trekking beneath 7000m peaks or strolling across hillsides ablaze with spring rhododendron blooms, Bhutan offers one of the last pristine pockets in the entire Himalaya where one can begin the spiritual journey with the affectionate guidance of Udiron Tours and Travels . Bhutan is home to many species of birds that are in danger of extinction, including the Imperial Heron, which is one of the fifty rarest birds in the world and the rare Black-Necked Crane, which breeds in Tibet and then migrates over the Himalayas to Bhutan during the winter months. 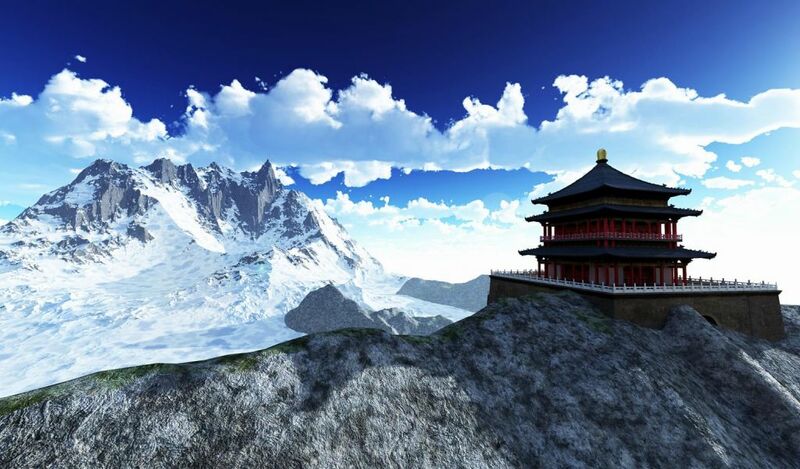 Snow-clad mountains incite inner divinity during the Spiritual Tourism . 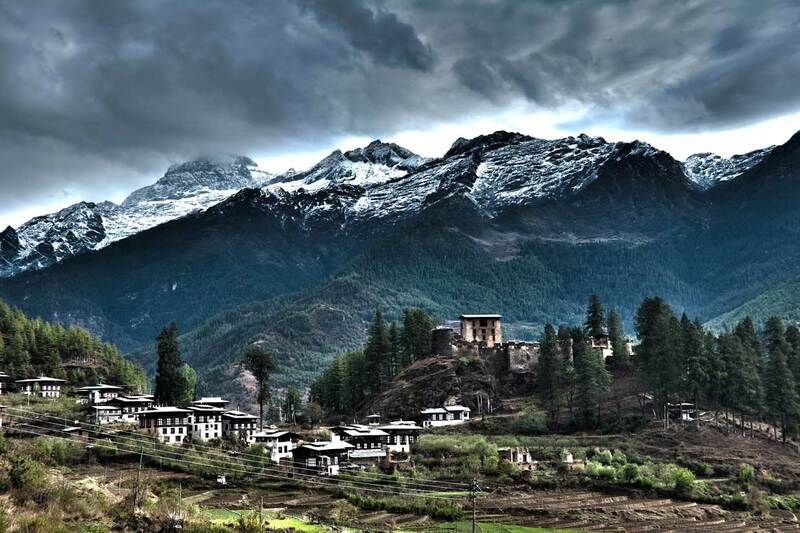 The climate in Bhutan varies with elevation, from subtropical in the south to temperate in the highlands and polar-type climate, with year-round snow in the north. The country's landscape ranges from lush subtropical plains in the south to the sub-alpine Himalayan mountains in the north, where there are peaks in excess of 7,000 metres. Bhutan has a rich primate life, with rare species such as the golden langur, the Bengal tiger, clouded leopard, hispid hare and the sloth bear live in the lush tropical lowland and hardwood forests in the south. In the temperate zone, grey langur, tiger, goral and serow are found in mixed conifer, broadleaf and pine forests. Fruit-bearing trees and bamboo provide habitat for the Himalayan black bear, red panda, squirrel, sambar, wild pig and barking deer. The alpine habitats of the great Himalayan range in the north are home to the snow leopard, blue sheep, marmot, Tibetan wolf, antelope, Himalayan musk deer and the takin, Bhutan's national animal. The endangered wild water buffalo occurs in southern Bhutan, although in small numbers; surely drag the attention of tourists towards the adventurous path of tourism. Udiron Tours and Travels also organises Adventure Tourism all over India. 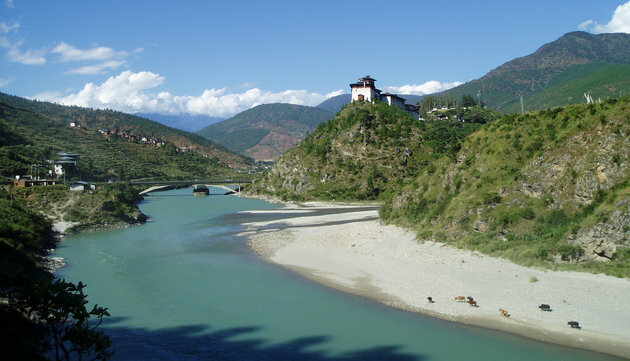 According to the Swiss-based International Union for Conservation of Nature, Bhutan is viewed as a model for proactive conservation initiatives. The Kingdom has received international acclaim for its commitment to the maintenance of its biodiversity. All of Bhutan's protected land is connected to one another through a vast network of biological corridors, allowing animals to migrate freely throughout the country. The takin is Bhutan's national animal. Bhutan has a rich and unique cultural heritage that has largely remained intact because of its isolation from the rest of the world until the mid-20th century. One of the main attractions for tourists is the country's culture and traditions. Bhutanese tradition is deeply steeped in its Buddhist heritage. The government is increasingly making efforts to preserve and sustain the current culture and traditions of the country. 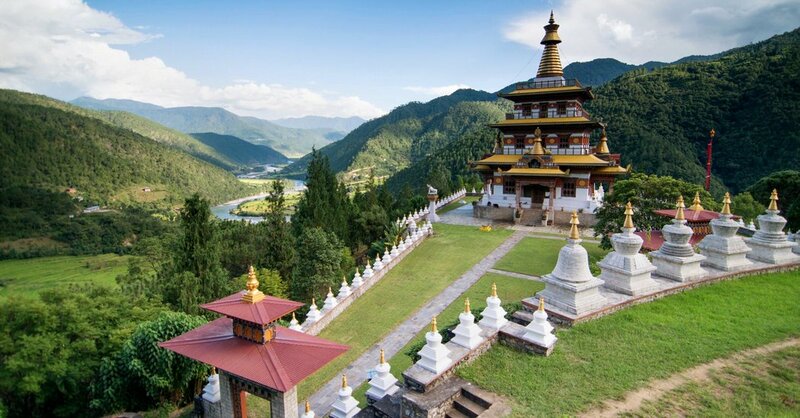 Because of its largely unspoiled natural environment and cultural heritage, Bhutan has been referred to as The Last Shangri-la and it has a vast scope for culture and heritage tourism. 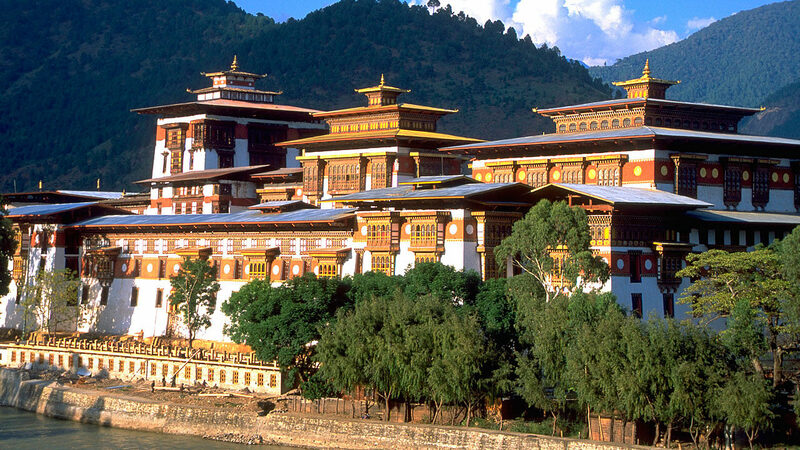 Udiron has chosen Bhutan for inbound tourists from abroad and Indians for Spiritual Tourism. In Bhutan, masked dances and dance dramas are common traditional features at festivals, usually accompanied by traditional music. Energetic dancers, wearing colourful wooden or composition face masks and stylized costumes, depict heroes, demons, death heads, animals, gods, and caricatures of common people. The dancers enjoy royal patronage, and preserve ancient folk and religious customs and perpetuate the ancient lore and art of mask-making. These all traditional things need to be showcased to the world. So Udiron Tours and Travels has taken up the responsibility of focusing on the specific traditional varieties and make it worldwide Culture and Heritage Tourist spot and also will take care of the customer’s need . Only at Udiron Tours and Travels you may get reasonable and the best deal . So why one should come here? Firstly, there is the amazing Himalayan landscape, where snow-capped peaks rise above shadowy gorges cloaked in primeval forests. 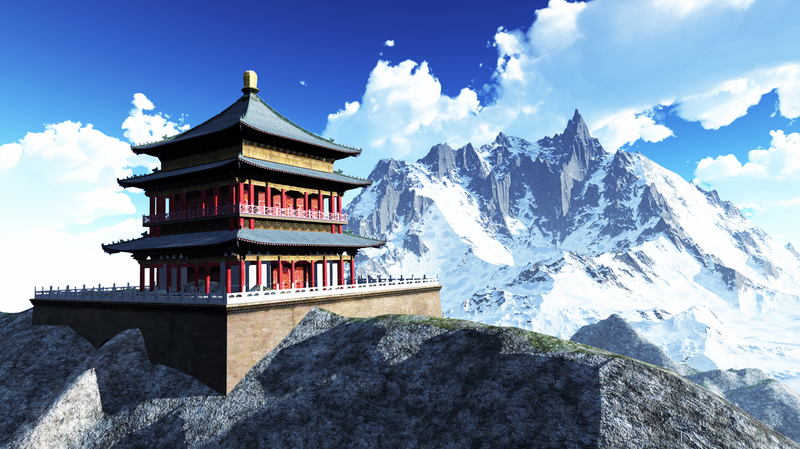 Taking up prime positions in this picture-book landscape are the majestic fortress-like dzongs and monasteries. This unique architecture sets the stage for spectacular dance festivals attended by an almost medieval-looking audience. Serenity of this place is ideal for spiritual journey where one de-stress himself from all kind of icy realities of life. 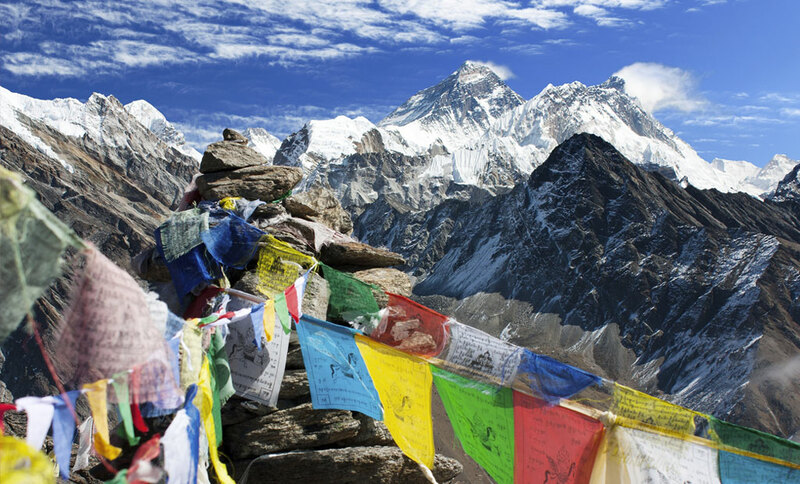 Then there are the textiles and handicrafts, , high-altitude trekking trails, and stunning flora and fauna. Thus Bhutan tour can cover all facets of tourism, like Spiritual , heritage , Adventure , Nature and mainstream Tourism . In this circuit visitor can attend the summer festival of Haa and delve into the wonders of the ancient living culture of people .The festival highlights Shamanic rituals and other folk dances. Visitor may also enjoy the beauty of rare Himalayan flowers in bloom or take a daring trek to Nob Tsonapatra, immersing visitor in the interesting legends of the area. Mesmerizing beauty of nature and all pervading tranquility touch the spiritual dimensions making it idyllic location for Spiritual Tourism. In Thimphu visitor can witness the newly introduced Takin Festival, MICE & GNH conferences, meditation and wellness facilities. Visitor can also visit temples, dzongs (fortresses) . Bhutan has many activities available for those visitors seeking a place of solace, rest and recuperation. Whether it is a session of peaceful, contemplative meditation, a relaxing soak in a mineral hot spring bath or the all natural remedies of our traditional medicine Bhutan has just what you need to revive and rejuvenate your body and spirit by virtue of Spiritual Tourism . Due to Bhutan’s location and unique geographical and climatic variations, it is one of the world’s last remaining biodiversity hotspots. Paro museum (Tadzong), displays hundreds of artifacts revealing the history and culture of Bhutan, In Thimphu, let the Folk Heritage museum enthuse visitor with an in-depth look into a typical farmers’ livelihood which is the hallmark of our Heritage Tourism in Bhutan. PARO:- Accentuating the natural beauty are the many elegant, traditional-style houses that dot the valley and surrounding hills. Paro town has been growing rapidly in recent years and there are plenty of restaurants, bakeries and cafes to choose from. Haa Valley is a wonderful hidden hermitage, only a couple of hours drive from Paro. One of Tangtong Gyelpo's original medieval iron chain link bridges! It's beside the main Paro-Thimpu road so is easy to visit. 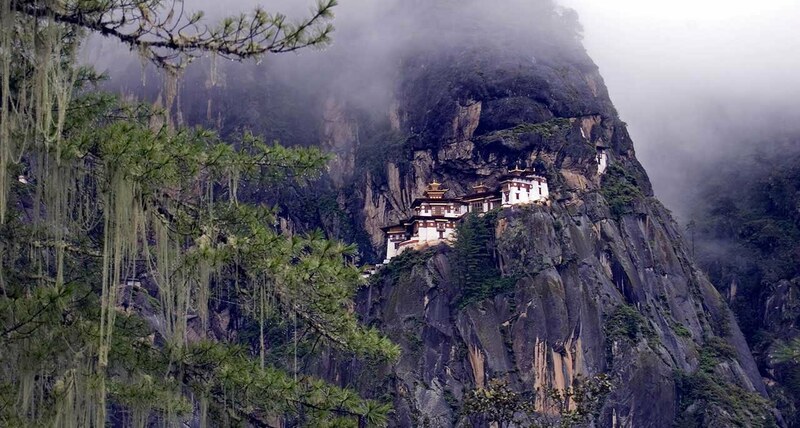 The luxury camp at the foot of this cliff-face shrine gives visitor a great taste of trekking in Bhutan. It's a fairly tough hike (all uphill on day one, all downhill on day two) but at the end of the day visitors will be pampered with a proper bed, a sun lounger and a heated tent. Plus visitor get to walk down to the spectacular Tiger's Nest the next day. The Phobjikha Valley is a real charmer and a great place for hiking or biking. For a lovely half-day hike, drive to the Dochu-la pass and then hike up through rhododendron forest to the hilltop Lungchuzekha Goemba and then downhill to the charming Trashigang Monastery, before getting picked up at Hongtsho. One can be bestowed with blissful experience out of the views of Jhomolhari and Jichu Drake peaks from just above the pass …a perfect gateway for Spiritual Tourism. Strung along a cliff just southwest of the Paro Valley is this lovely series of monastery chapels. It's an easy trip from Paro and visitor can combine it with a trip up to the Chele La. For the best views of Paro Dzong visitor need to hike from Paro Museum up to Zuri Dzong. It's not particularly strenuous and the views of the Paro valley are lovely. 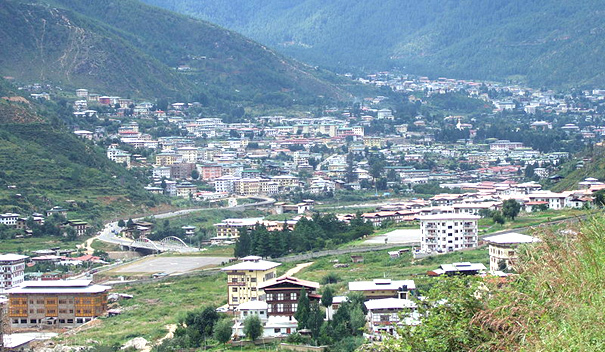 THIMPHU :-Thimphu is the most modern city in Bhutan with an abundance of restaurants, internet cafes and shopping centers, however it still retains its’ cultural identity and values amidst the signs of modernization. 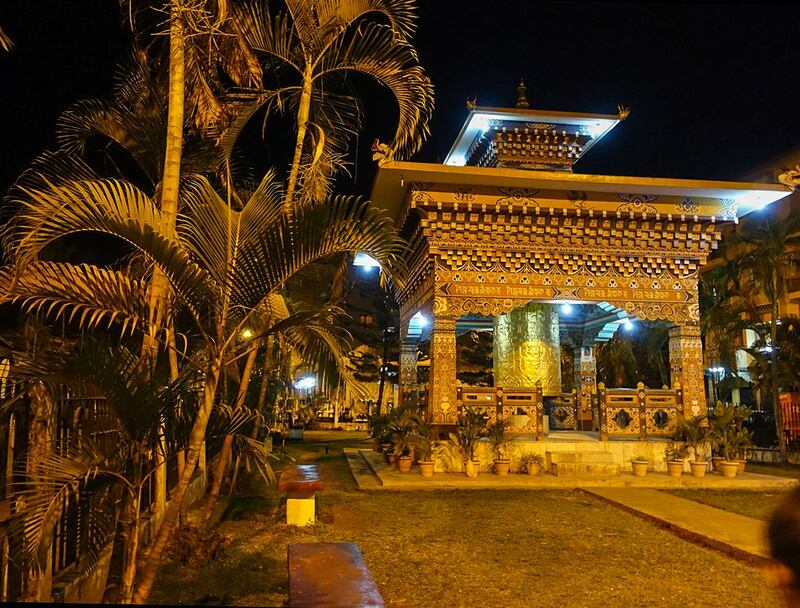 DOCHULA :Known as the Druk Wangyal Chortens- the construction of these 108 chortens was commissioned by the eldest Queen Mother, Her Majesty Ashi Dorji Wangmo Wangchuk. The pass is also popular spiritual Destinationsssss for both locals and tourists because an important temple is located on the crest of Dochula . 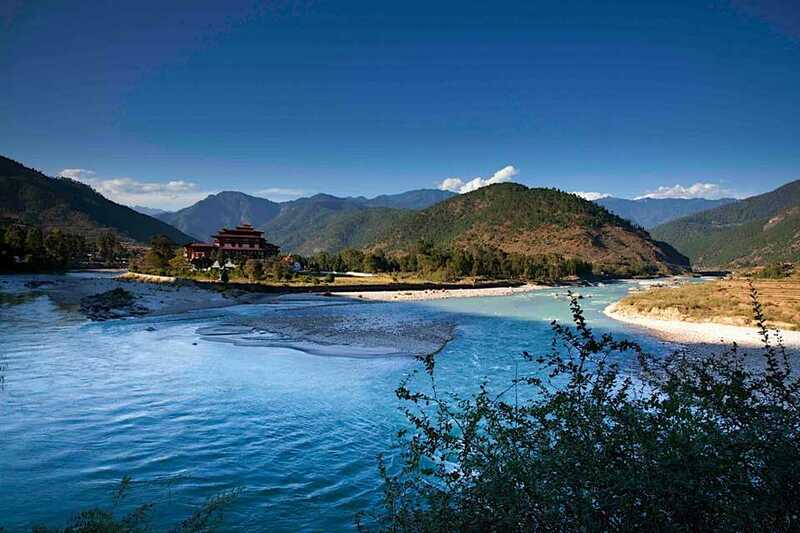 PUNAKHA : Punakha valley has a pleasant climate with warm winters and hot summers. It is located at an average elevation of 1200 meters above sea level. Central Bhutan is an exciting Destinationsssss for all visitors. It includes some of the most significant historical and religious sites in the country. Central Bhutan is a region blessed with great natural beauty and there are miles of pristine alpine and sub-tropical forests teeming with all manner of flora and fauna. The Thrumshingla National Park is located in this region and is famous for the many rare and endangered birds that inhabit it including the Rufous necked hornbill, Rufous-throated wren-babbler, Satyr Tragopan, Beautiful nuthatch, Ward’s trogon and Chestnut-breasted partridge. Visitors may even catch a glimpse of the exotic animals that live in the park such as the majestic Royal Bengal Tiger or the adorable Red Panda. 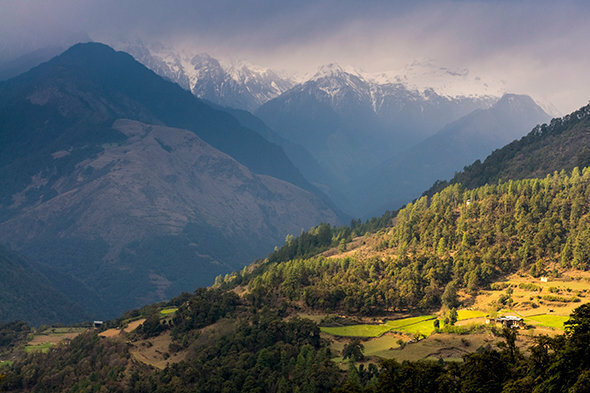 In the south, the Shiwalik Hills are covered with dense Himalayan subtropical broadleaf forests, alluvial lowland river valleys, and mountains The foothills descend into the subtropical Duars Plain. Most of the Duars is located in India, although a 10 to 15 km wide strip extends into Bhutan. The northern Duars, which abut the Himalayan foothills, have rugged, sloping terrain and dry, porous soil with dense vegetation and abundant wildlife. The rugged, mountainous landscape of Bhutan lends itself well to both on-road or off-road mountain biking and the sport is seeing increasing popularity among both visitors and Bhutanese alike. There are a variety of biking routes available ranging from smooth journeys on paved roads to challenging off-road dirt trails that wind through rough terrain. The sport offers a certain intimacy with the environment that is seldom experienced in vehicles. Bhutan is swiftly developing its reputation as a premier Destinationsssss for adventure sports. Set amongst the majestic Himalayas, Bhutan is the perfect location for all manner of exciting activities including Hiking, Trekking, Kayaking, Mountain Biking and Fishing. Whether it is rafting down crystal clear, glacier-fed rivers or trekking through lush, virgin forests Bhutan offers a one-of-a-kind experience for travelers seeking adventure in an unspoiled and unexplored environment. All the necessary arrangements for adventure activities can be made, which will provide visitors with well-trained and experienced guides to ensure safety at all times. Bhutan has many activities available for those visitors seeking a place of solace, rest and recuperation. 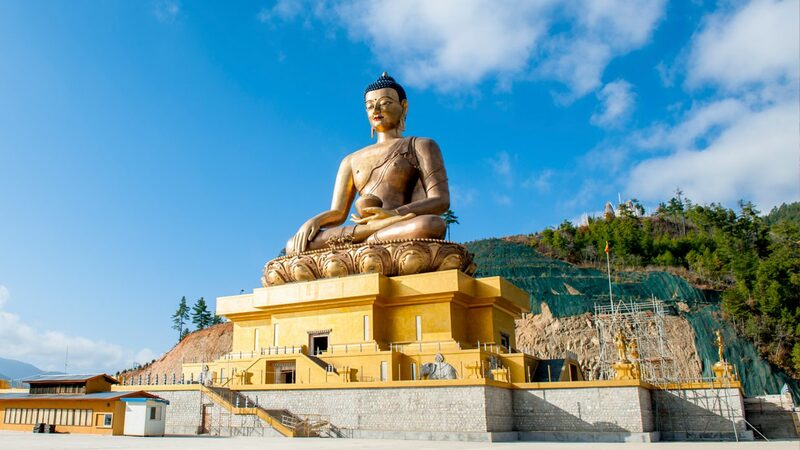 Whether it is a session of peaceful, contemplative meditation, a relaxing soak in a mineral hot spring bath or the all natural remedies of our traditional medicine Bhutan has just what visitor need to revive and rejuvenate visitorr body and spirit. Owing to Bhutan’s location and unique geographical and climatic variations, it is one of the world’s last remaining biodiversity hotspot. Bhutan pristine environment, with high rugged mountains and deep valleys, offers ecosystems that are both rich and diverse. Recognizing the importance of the environment, conservation of its rich biodiversity is one of the government’s development paradigms. In all respects Udiron Tours and Travels is the best travel agent to make your journey memorable with the appropriate blend of Spiritual Tourism , Heritage / Culture Tourism , Nature Tourism , Adventure Tourism and also Mainstream Tourism .